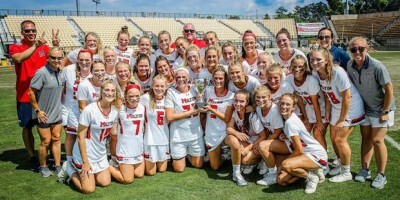 Milton’s girls won their 12th lacrosse state title. Courtesy of GHSA. The Lambert boys defeated defending champion Lassiter 12-6 in the boys Class 6A-7A championship and capped off a perfect 22-0 season in the process. The Longhorns finish No. 1 ahead of Lassiter. No. 3 Centennial lost 15-14 to Lambert in the semis and No. 4 North Gwinnett fell 10-9 in overtime to Lassiter in the semifinals. In Class A-5A, No. 1 Blessed Trinity defeated No. 2 Greater Atlanta Christian 6-5 to capture its first-ever title. Kell, which fell 10-9 to the Titans in the semis earned No. 3 and Westminster comes in at No. 4 after reaching the Final Four and falling 9-6 to Greater Atlanta Christian. Lovett, rounds out the top 5, despite falling 9-7 in the first-round to Greater Atlanta Christian. 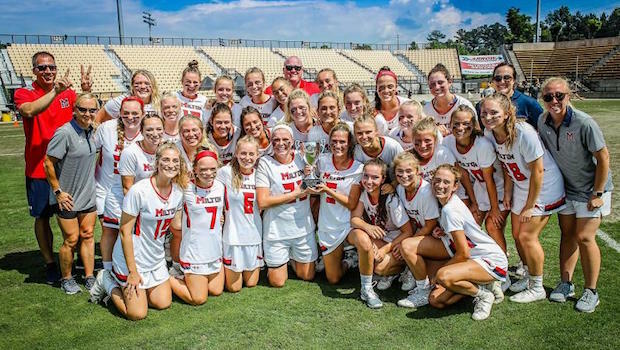 The top-ranked Milton girls held off Lassiter 11-10 in the girls Class 6A-7A championship for the program’s sport-record 12th state championship. Cambridge earned No. 3 and Mill Creek’s 13-10 win over Walton during the regular season gives them the edge over the Raiders for No. 4, despite the Raiders reaching this year’s semifinals. In Class 1A-5A, Blessed Trinity used a 15-7 win over Starr’s Mill to take No. 1 and Starr’s Mill finishes No. 2 after advancing to its first-ever finals. Semifinalists Kell and Westminster round out the top 5 with Wesleyan, which lost 16-6 to Starr’s Mill in the quarterfinals. No Replies to "Final lacrosse rankings: Blessed Trinity sweeps A-5A, Lambert boys and Milton girls take top classes"